OA and Princeton Against Cancer Together (PACT) are sponsoring our annual fall community service hike. This is a walk, bike or run (your choice) on the Towpath. There are different route options of 3 miles, 7.6 miles and 9 miles. Participants register with a minimum $5 free. All proceeds go to The Breast Cancer Fund to support breast cancer research. This is a great activity to do with friends - your OA group, sports team, student organization, etc. The Hikathon will be from 10 AM - 12 PM starting at the Frist Campus Center. Register on the TripStore or sign up at the Registration Table on the Frist Lawn starting at 9:30 AM. Saturday, 10/2, 10 a.m. - 12 p.m. raindate 10/3, 12:00 - 2:00 p.m. In mid-October the trees are blazing with colors in southern New York. Join us for a day hike through beautiful forested trails of Harriman State Park. During the Ice Age, glaciers plowed through the hills of this area scraping away debris and loose rock and creating a series of glacial lakes.. The mountain tops of Harriman are rocky and exposed which allows for spectacular views including the fall colors along the Hudson River. Fee: students $10.00, faculty/staff $15.00. Saturday, 10/9, 8 a.m. - 6 p.m. The Access Fund helps conserve and protect rock climbing areas around the country. Join us for this volunteer day helping to do trail and preservation work at Allamuchy State Park in New Jersey. The local Access Fund and park rangers will provide tools and instruction. Date: Sunday, September 26. Fee: FREE. Transportation provided by Outdoor Action. If you are interested in learning to rock climb, then this 3-week course will teach you all the essential techniques of climbing, including tying in, belaying and speciﬁc climbing techniques like weight shifting, stemming, and laybacks. The course will meet at OA’s indoor Climbing Wall in the Armory. There will also be a ﬁeld trip to the cliffs at Ralph Stover State Park to practice all that you have learned at a real rock climbing site. Fee: Students $70, faculty/staff $95, OA Leaders $40. Outdoor Day Trip: Sunday 10/10, 9 - 5 p.m.
Rock Climbing provides an opportunity to challenge yourself both physically and mentally as you work your way up a rock face. We are offering a day trip to a Ralph Stover State Park in Pennsylvania that offers both beginning and intermediate level climbing routes. You’ll learn the basic techniques of rock climbing including tieing in, how to belay, and climbing techniques like weight shifts, using your legs, etc. This is an ideal trip for beginners and experienced climbers alike. All equipment will be provided by OA. Fee: Students $15, Faculty/Staff $20. Sunday, 10/3, 9 a.m. - 5 p.m. The Climbing Wall is an indoor rock climbing practice facility located in the Armory next to the football stadium. Climbers of all abilities are welcome. Experienced instructors are on hand to teach skills and assist in solving particular climbing routes. OA provides harness and climbing shoes. The Climbing Wall is open only to students, faculty, and staff of Princeton University. PUID required. Children of members of the University community may climb with a parent present. The Climbing Wall is open throughout the academic year except during breaks and ﬁnal exams. Come see yourself and your group on the Big Screen! We are hosting the annual Frosh Trip 2004 Slide Show. It's a great time to get your group back together and relive the week. We've put together some great slides from all the photos that you've sent in. There are just so many people that we have to do two showings based on group number. Repeat Showings during Freshmen Parents Weekend. Bring your family! It's not too early to start planning for Frosh Trip 2005. The Fall OA Leader Training Program is starting up now (see details below). We also will need Support Teams and Command Center Staff. You can sign up on the interest list for Support or Command Center now at the OA TripStore. The autumn color views from the summits of the Shenandoah Mountains in Virginia are spectacular. 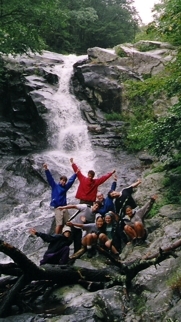 There will be two 4-day backpacking trips to the Appalachian Trail in Shenandoah National Park over fall break. Discover the excitement of living in the woods and hiking along beautiful ridges and beside winding streams. The sensation of carrying everything you need on your back can be incredibly satisfying , particularly when you can share the experience with a group of friends. Each trip will cover 4-8 miles of hiking each day. You’ll learn all the basic skills for backcountry travel and camping including route finding, equipment use, and Leave No Trace camping. Equipment, transportation, and food will be provided by OA. Sign-up deadline: Friday, October 12. Fee: Students $95, Faculty/ Staff $120. Flowing through the scenic Shenandoah Valley the Shenandoah River boasts a wonderful section of easy whitewater(Class I-II). In October the colors should be near their peak as the group paddles to backcountry campsites along the river. OA is offering this three day wilderness whitewater canoeing trip. All canoeing and outdoor equipment will be provided by OA. Cost for the trip will be $175.00. You should have previous basic canoeing experience in order to participate. We will do some afternoon canoeing instruction on Lake Carnegie on Saturday, 10/23. For those who want to expand their ﬁrst aid skills Outdoor Action offers a Wilderness First Responder (WFR) course over Intersession in January. This 80-hour course taught by Wilderness Medical Associattes is speciﬁcally designed to emphasize the wilderness context—remote locations, severe environments, and simple improvised equipment. The course will cover patient examination and evaluation, body systems and anatomy, trauma care, environmental emergencies, splints, wilderness rescue, and backcountry medicine. This is an intensive course that meets 10 hours each day with morning lectures and afternoon skills practice including simulated rescues, daily quizzes and a ﬁnal exam. Be prepared for some awesome full-on sims! The course will be held at the beautiful Princeton-Blairstown Center. 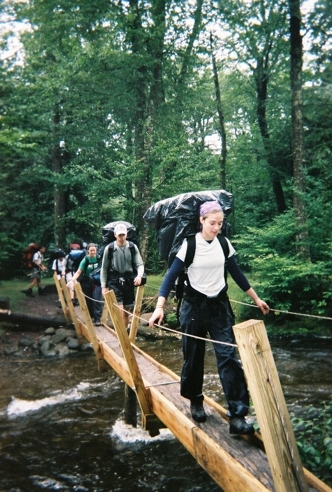 Fee: OA Leaders $300, students $400, faculty/staff $500 includes the course, transportation, food and lodging for the week. Saturday 1/22/2005 - Sunday, 1/30/2005. Sign ups are now available at the OA TripStore.